Farhan & Shraddha Sing 'Rock On' Together & It's AWESOME! Guys, the song ‘Rock On Revisited’ from the movie Rock On 2 just released and it’s AMAZING! You have to listen to this one right now and we are sure it’ll make your day better. 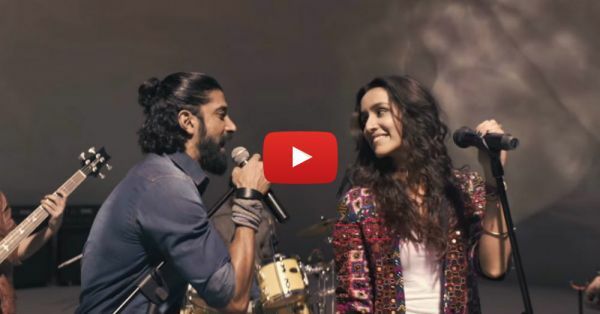 Farhan Akhtar and Shraddha Kapoor are singing this song together and it’s taking us back to the time when the first film, Rock On, was released. The video is powerful and you’ll want to watch it again and again. We are loving Shraddha’s new avatar in this film. Can’t wait for this movie to release! Shankar Ehsaan Loy have done a great job, yet again, in creating this old song in a slightly different way. Kudos to them and the singers too! So what are you waiting for? Go hit the play button, NOW! Also read: Why Say ‘I Love You’ When You Can Dance? This Song Is AWESOME!